LG's G7 ThinQ is a by-the-numbers hardware play that - while perfectly adequate - utterly fails to be anything more than a raw, arithmetical, sum of its parts. With the G6, LG went back to the drawing board to strong results. Plenty of tech journalists and critics praised the change in direction in their reviews of the device. Naturally, with the G7 ThinQ, you’d think LG would look to move forward, build on those foundations and generate some much-needed momentum in the mobile space. 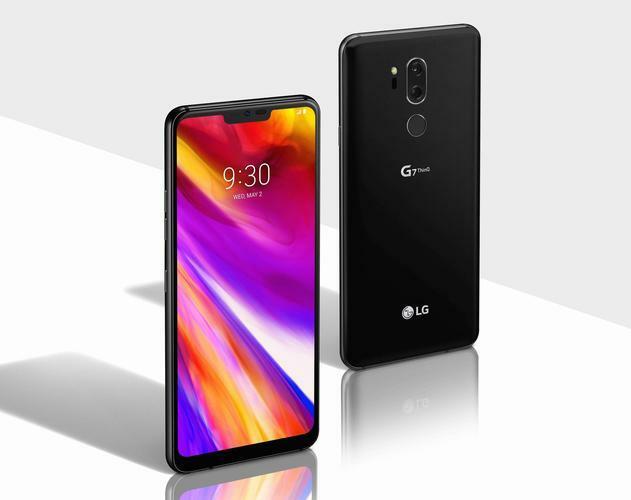 At a time when the rest of the smartphone landscape seems to perched on a precipice of exciting, meaningful innovation like in-screen fingerprint sensors, foldable screens and triple lens cameras, the LG G7 ThinQ opts for the ordinary at seemingly every turn. This critique might sound a little bit harsh - but stick with me for a minute. Yes, taken as a standalone product, LG’s G7 ThinQ is a smartphone that’s more than capable of getting the job done. However, in the flagship space, that’s just not enough. When you're paying more than $1000 for a smartphone, you want more than just adequate. Where other brands are using their flagships to push boundaries and showcase their best and brightest innovations, the G7 ThinQ has a Google Assistant button. 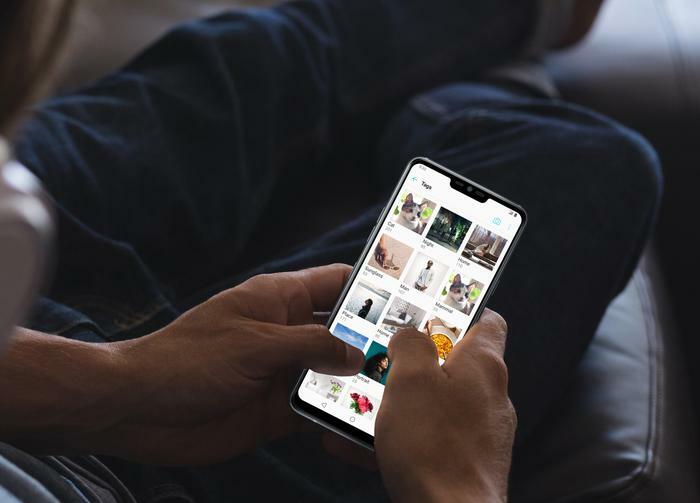 In line with their big-picture position as a global brand that deals in almost every consumer electronics category there is, the G7 ThinQ positions LG’s smartphone products as just another part of that larger portfolio. It feels like LG see the smartphone is just another everything “thing” that you’ll need to own in the same way that you need a vacuum cleaner or washing machine. There’s no sense of technological ambition to the overall vision here. If anything, the G7 ThinQ comes off as one of the more mundane and incremental smartphones LG has put out in several years. Like the name suggests, the G7 ThinQ is also designed to draw attention to LG’s natural language processing platform and the possibilities the company are now looking to explore when it comes to AI. And, in theory, that’s pretty exciting stuff. Unfortunately, in practice, it leaves LG with a flagship that might just be the least-exciting evolution of what’s come before it. In a year that’s seen even the most ambitious of big-name flagship devices struggle to justify higher-than-ever price-tags, LG doesn’t even seem to be trying with the G7 ThinQ. Notch aside, the visual profile of the LG G7 feels like it is sometimes almost indistinguishable from that of the G6. It’s got a glass back, super-bright IPS LCD display and a sleek, curved metal frame holding the two halves of this equation together. It’s about as ‘2018 flagship smartphone’ as these things come, with a fingerprint sensor on the back alongside a slightly-rejiggered vertical camera configuration. As previously mentioned, the biggest physical point of distinction from the competition comes in the form of a new shortcut key on the left edge of the device, which sits right below the volume keys. Tapping or holding this key will instantly pull up the Google Assistant. Tapping the Assistant key twice will pull you into the AI-powered Google Lens. That’s about all there is to it. On one hand, it’s a carbon copy of what some would decry as the Galaxy S9 and Note 8’s least-necessary feature. However, on the other hand, the Google Assistant is a much more useful and capable bit of software than Bixby is. At least, in its current incarnation. As someone who uses their Assistant a fair amount, I actually quite liked this feature. That said, the inability to remap or disable to key is all but certain to irk some. Your mileage may vary. In terms of the display, the G7 ThinQ’s screen rarely left us wanting. Web pages and apps both come across as clear and detailed and video content looked particularly great in motion. The device does have a notch, but if you’re not a fan you can always opt to hide it by blacking out the upper edges of the display. The G7 ThinQ also features a neat Super Bright toggle you can enable when needed and an always-on display, which is always an appreciated inclusion. The last thing worth mentioning here is the headphone jack. Unlike plenty of other flagship smartphones, LG have continued to hold onto their 3.5mm headphone jack. In fact, they’ve actually doubled-down on the legacy feature by integrating it with a 32-bit HiFi Quad DAC. This isn’t really a new feature - it’s actually been present in the last few of LG’s G-series and V-series smartphones - but if you’re the kind of user who cares about, and needs, that particular spec, LG are pretty much the only major device vendor offering it. Take it or leave it.